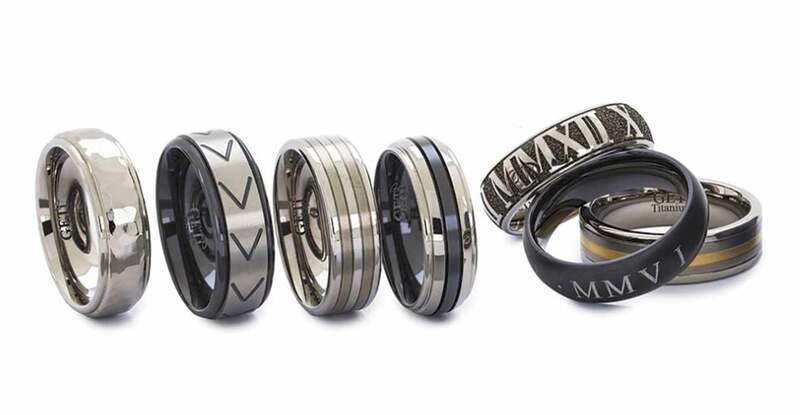 The Geti Titanium Flat Profile Claddagh Ring makes for a spectacular wedding ring with its laser engraved design. The Claddagh ring is a traditional ring that represents love, loyalty and friendship. This ring is durable, resistant to corrosion as well as being beautifully light and rounded on the inside making an extremely comfortable fit, as well as having a flat finish for a sleek look. https://www.johngreed.com/geti-titanium-flat-profile-claddagh-5mm-ring 94162 Titanium Flat Profile Claddagh 5mm Ring https://www.johngreed.com/media/catalog/product/n/c/nc3874_0_v3_1_59.jpg 255 255 GBP InStock /Men/Men's Gifts/Recipients/Gifts for your Husband /Men/Men's Gifts/Recipients/Gifts for your Boyfriend /Men/Rings /Men/Brands/GETi /Men/Men's Gifts/Occasions/Valentine's Day Gifts /Men /Men/Engraving /Men/Men's Gifts /Men/Brands /Men/Men's Gifts/Occasions /Men/Men's Gifts/Recipients The Geti Titanium Flat Profile Claddagh Ring makes for a spectacular wedding ring with its laser engraved design. The Claddagh ring is a traditional ring that represents love, loyalty and friendship. This ring is durable, resistant to corrosion as well as being beautifully light and rounded on the inside making an extremely comfortable fit, as well as having a flat finish for a sleek look.